Franny Reese was an important early environmentalist, helping launch a movement that has saved large parcels of scenic America and sensitizing us to the fragile ecosystems that sustain all life. 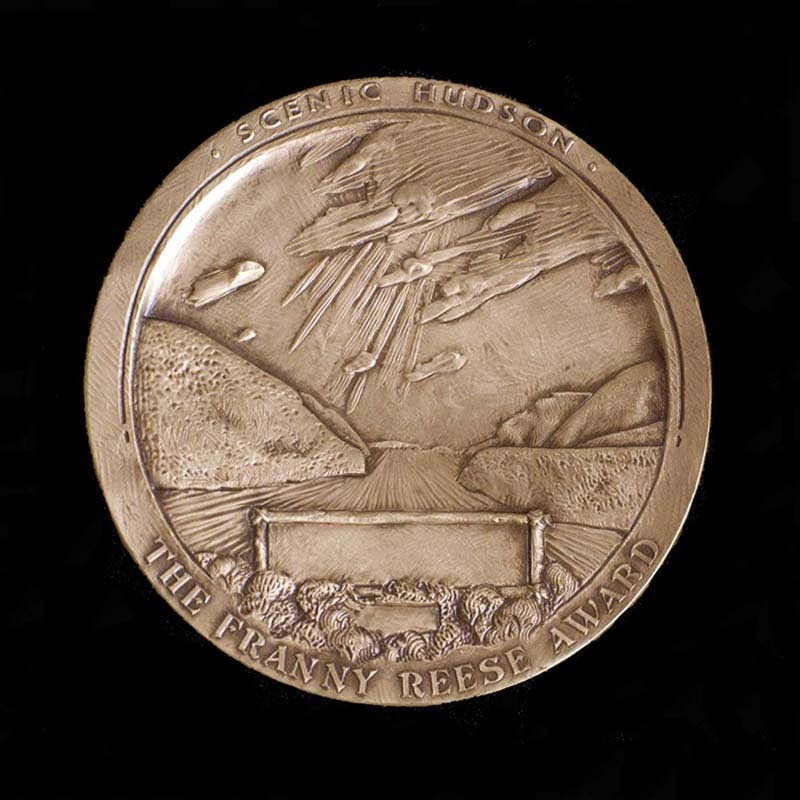 Commissioned by Scenic Hudson, Inc. this medallion is awarded annually by the organization and is not for sale or other use. On the reverse side is an eagle's eye view of the Hudson River landscape that Franny Reese helped save. 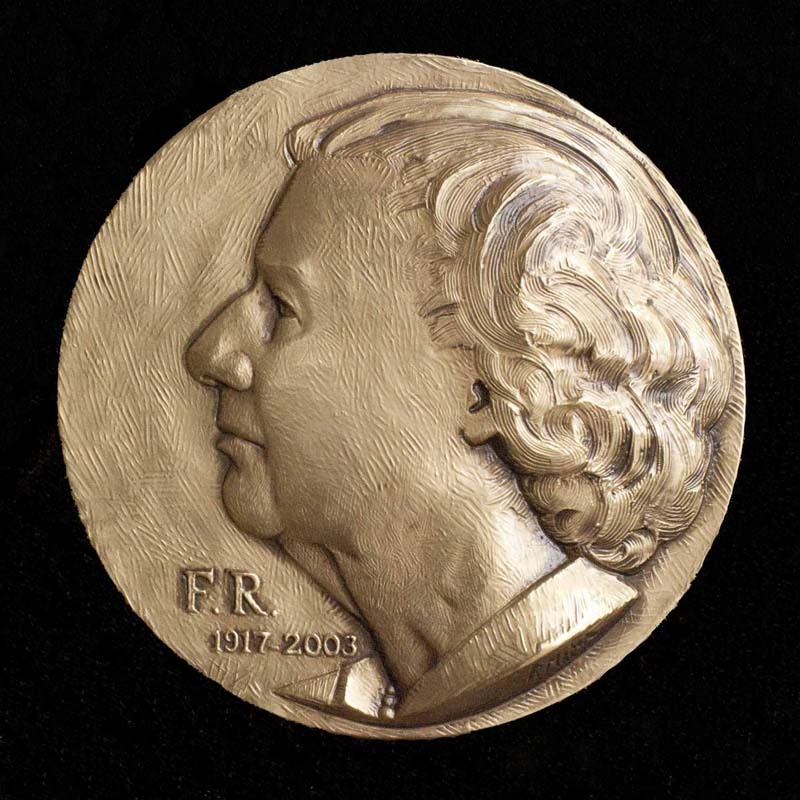 The blank along the bottom, framed by branches, allows the recipient's name to be engraved on the medal.